Ask any girl about a bad hair day, and you will always see her say that it is a regular thing! No girl, not even Taylor swift (love her hair :-D ) can stay away from bad hair days ! But one can avoid bad hair days as much as possible. When I started college and staying in a hostel, bad hair days and loads of hair fall was a norm. When I got frustrated I finally thought of doing something to lower down the number of these two things, Bad hair days and hair fall. Being the super lazy girl I am I was not ready to do a lot of work on my hair, so I thought of trying simple things to improve my situation. read on to know a few simple steps! Today I will share the things I did to make my hair better without spending a lot of money and time! We mostly dread frizzy, un-manageable hair. Fret not, because you can control that. I did that and I am lazy as hell in these matters. First of all, stop using plastic combs. Start using wooden combs, this simple thing makes a lot of difference! Believe me!My hair breakage reduced and the frizz was visibly under control! DO NOT towel dry your hair! Slightly soak the water off and let the hair dry naturally. Clean your combs weakly, with an old toothbrush and shampoo. I immerse the combs in a mixture of water and dettol(anti-septic liquid), after washing, for a few minutes. Braid your hair while going to sleep. Do not leave it open. There are a lot of options. Whether you want to French braid it or make two pigtails, depends on you, but do not leave your hair open. Not even a ponytail, only braid. If possible use a silk pillowcase for sleeping and wash it regularly. I made mine out of Mom’s old pure silk saris which she was about to discard. You can also use satin, in case you have a tight budget and no old silk saris ;-). Identify your problem and use oil particularly for that problem. Like for hair fall use almond or argon oil. For frizzy hair use coconut or avocado oil. Oils really help! So, these are a few things you can do which are perfect for those who are short on time or lazy, because these steps do not require a lot of time or effort. And you can actually see a visible difference. I am not saying anything about a hair mask , or shampoo or any other hublahoo! just try these few steps and I can assure you a better hair! I changed these 6 things and it worked for me. 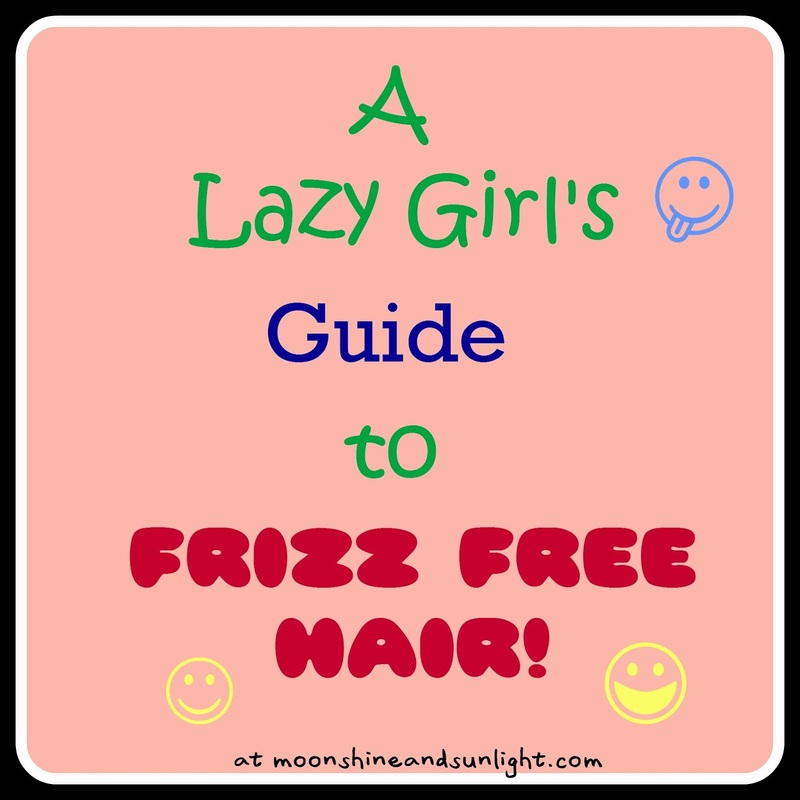 I am going to call this Lazy girl’s guide to smooth , frizz free hair! And if you want to try out a few deep conditioning hair masks, you can try these. What do you do already?? Would you like to add to the list?? These tips are really useful love!